La Salle FC v Coffee Millers FC. Image source: Karlyn Vivas. 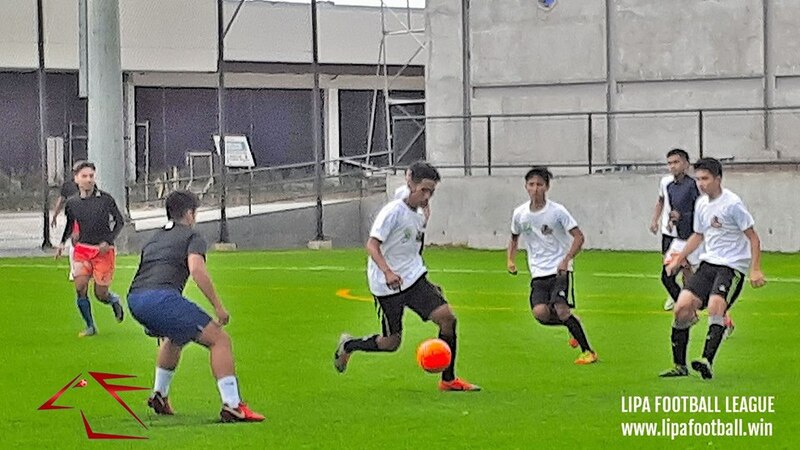 Lipa City, 30 November – Supporters who braved the wet and somewhat chilly conditions at the Aboitiz Pitch of The Outlets of Lipa last 25 November 2018 for the 3rd round of the Lipa Football League were not disappointed as the eight clubs who played between them managed to cough up another 36 goals. This brings the total number of goals scored in Season 2 to a whopping 94 or 31.33 per round and 7.83 per match. The average for Round 3 alone was 9 goals per game, with no less than 29 different players scoring goals. In total, 54 players have found the net in three rounds of competition. Green Stallions FC, De la Salle Lipa’s college team, continued its scorching form in the LFL with a 10-nil shellacking of young Lipa Emmanuel FC. The Green Stallions had debuted in Round 2 with an 11-2 rout of Kings FC and are now the league’s top goalscorers with 21 goals in just two matches. The Green Stallions’ victory was Season 2’s first shutout; and Lipa Emmanuel FC became the first club not to score in a match this season. 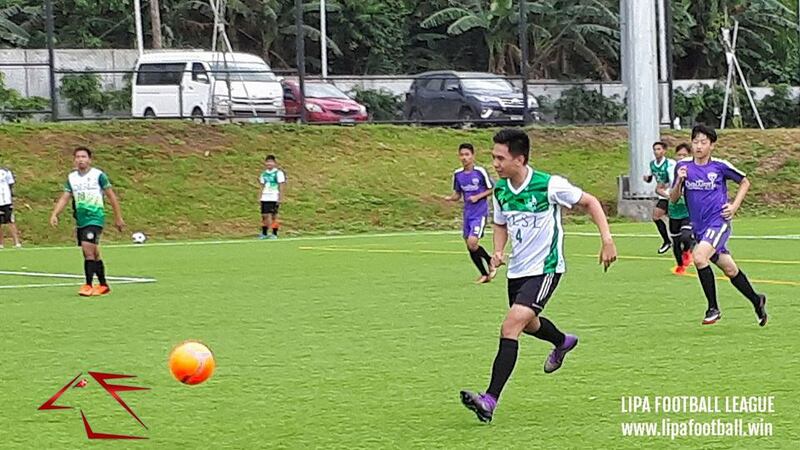 The Green Stallions’ margin of victory also erased the previous highest established in ACF Real Molinillo de Lipa’s 9-0 rout of Brahman FC in the league’s inaugural season. Green Stallions FC set a new margin of victory record in the LFL. Admittedly, the Green Stallions have also been gifted with a kinder fixture list with their opening two matches both against emerging basically high school teams. 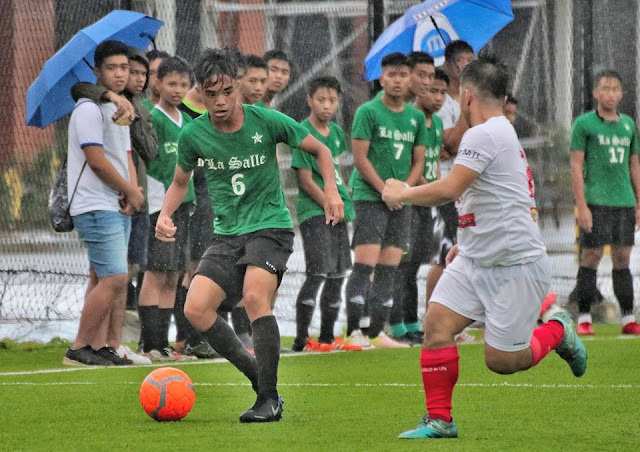 The Green Stallions can expect tougher opposition in the next two rounds against guest team Real Baraco FC of Batangas City and previous Group B leader ACF Real Molinillo de Lipa. With Green Stallions’ Neil Paul Bernardo scoring 3 goals against Lipa Emmanuel, three players have now scored hattricks this season. Kings FC’s Omar Mazloum did the feat in his club’s 3-4 opening day loss to Lipa Emmanuel; while Green Stallions’ Gerard Pena turned in the season’s best individual effort so far by scoring 4 versus Kings FC in Round 2. Despite his club’s poor form, Mazloum continues to top the goalscorers’ chart with 6 goals, two ahead of Bernardo and Pena. At the opposite end of the spectrum, Kings FC continues to be the season’s worst defensive team, having conceded 24 goals in three matches for an average of 8 goals per game. Unsurprisingly, because the youngsters played a more open game against Green Stallions than they did against Real Molinillo, Lipa Emmanuel is the league’s next worst defensive team, giving away 20 goals for an average of 6.67 per match. After completing a fairly routine 5-2 victory over an undermanned Coffee Millers FC, La Salle FC, De la Salle Lipa’s high school team, has the current season’s best record with 3 wins from 3 matches. The youngsters have one foot in the semi-finals but face a stern test against previous leaders Mentors FC in their Round 4 encounter on 16 December 2018. The club will qualify outright with a draw against the Mentors but can still qualify even if they lose if Legends FC, who has 3 points from two matches, do not get maximum points from its remaining two games against Coffee Millers FC and Mentors FC. Defending champions FC Reigning Kickers' miserable form continued and the club is now eliminated from contention. With two rounds left to play before the knockout stages, surprisingly defending champions FC Reigning Kickers are already eliminated from progression into the semis, having lost all three matches in Group A. The Reigning Kickers have had a miserable season, scoring just 5 goals but also shipping no less than 16. Also eliminated from contention is Kings FC, who have had an even more miserable season, scoring 7 times but also conceding 24 for a 0-0-3 record in Group B. The Lipa Football League returns on 16 December 2018 for Round 4 action at the Aboitiz Pitch with Green Stallions FC squaring up against Real Baraco FC in a potentially explosive match; and their high school counterparts La Salle FC facing Mentors FC in a top-of-the-table encounter. ACF Real Molinillo de Lipa return to action against Kings FC after sitting out the 3rd round with a bye; while Coffee Millers FC hope to get its first victory over Legends FC in the day’s other match. The Lipa Football League is co-presented by ACF Real Molinillo de Lipa and The Outlets of Lipa. Season 2 of the league is sponsored by El Abyador Garden Pool Resort in Tambo, Lipa City.